Who in your organization has a clear understanding of how they fit strategy? * Your answer indicates if there is momentum, or a stall, in your future. Good leaders gather together their leadership team, create a winning strategy, and a detailed action/execution plan, often translate what they can of the strategic plan into budgets, share those budgets — and then spend a lot of time motivating others and seeking their buy-in. 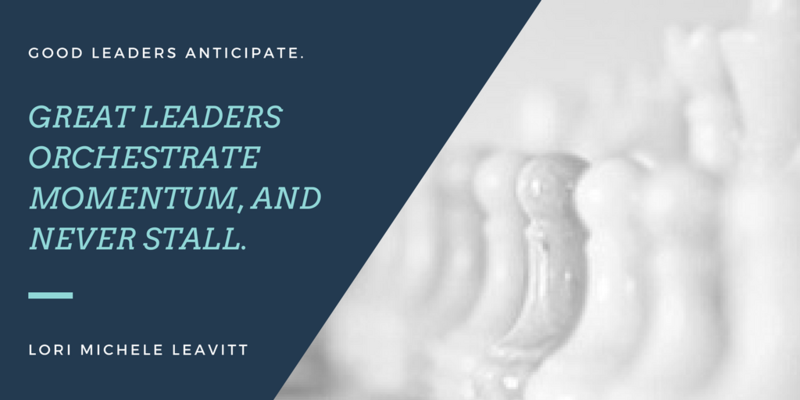 In an organization with good leadership, it is not uncommon to find that any individual not on the leadership team is never privy to strategy. Yet they are expected to execute brilliantly. People want to do their best, but by not being clear you are, in essence, expecting them to push a rope. In an organization with great leadership, it is not uncommon to find those not on the leadership team stepping up and speaking out, within their teams and across teams, because they understand how they are a valued part in the brilliant execution of strategy. Which do you choose? Which is reality right now? Thoughts? * Here, “strategy” encompasses vision, values, purpose, future-look, strategic game plan, strategic direction and strategic objectives.